If want to make this bhindi for guest then do the stuffing part in advance and just cook when before serving and it's makes a great party dish. I am not sure but I guess sambhariya means stuffed but whatever it means it's just one of the fabulous dish. It taste delicious with all the spices and nuts combination, if you this once you will love this am so sure about this. 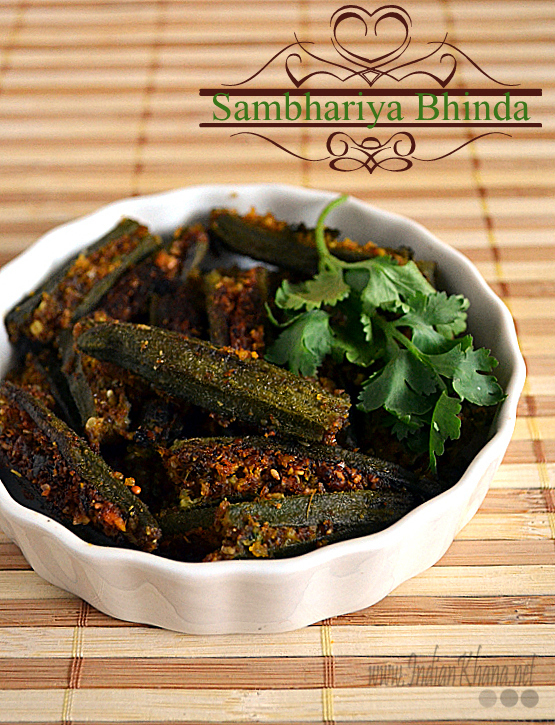 Give a ditch to your usual lady's finger or okra recipe and enjoy this bhinda sambhariya from colorful state of Gujurat without even travelling, cool right? 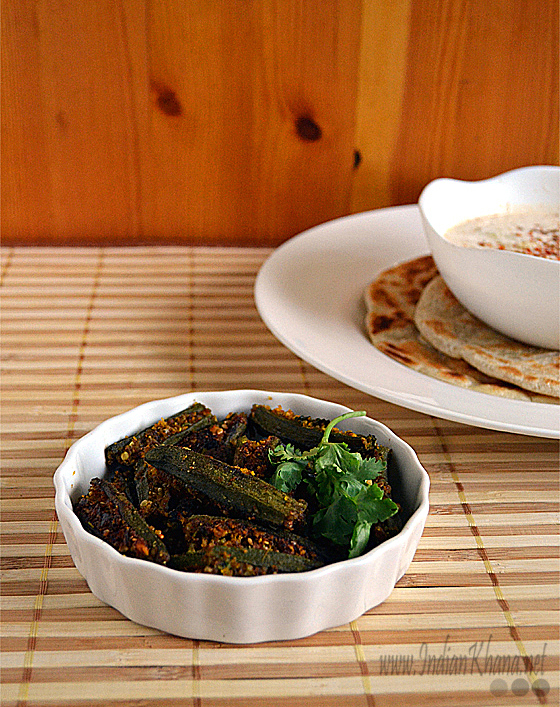 Technically speaking you should not omit any ingredient in this bharwa bhindi as I think every ingredients brings it's own flavor and goodness to this dish that's why I used less of sugar instead of omitting it totally. 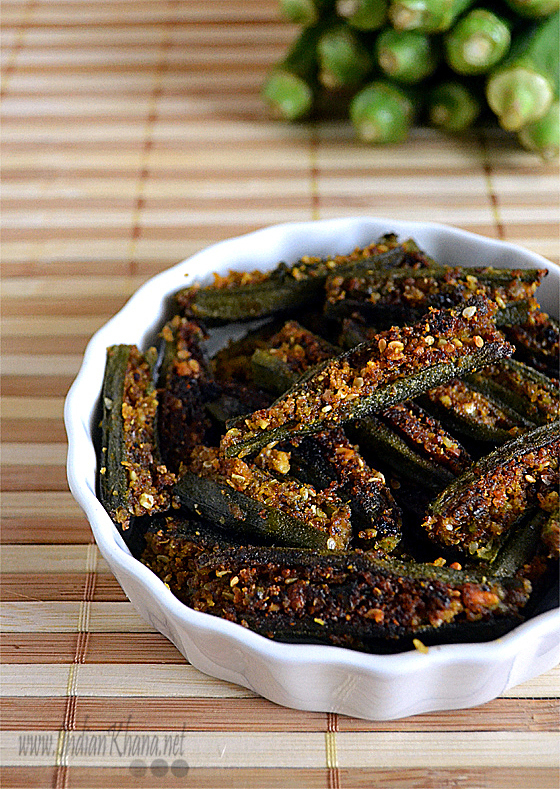 Though it's a side dish for me I can eat this as a snack, it's makes a great snack to just keep popping stuffed okra. You can eat whatever way you want. I had serve with paratha and lauki raita. 1. Wash okra and pat dry well, cut both ends of okra and make a slit in center along the length of each okra. 2. In a bowl add all the dry ingredients listed under "for stuffing" and mix. Now add oil and cilantro and mix well to combine. Adjust salt or spice if required. 3. Stuff each okra with prepared mixture and keep aside. 4. Heat oil in a pan and add asafoetida and then add stuffed okras. Cover with a lid and cook them on a low flame. Turn them occasionally to cook evenly from all sides or until soft, off flame. 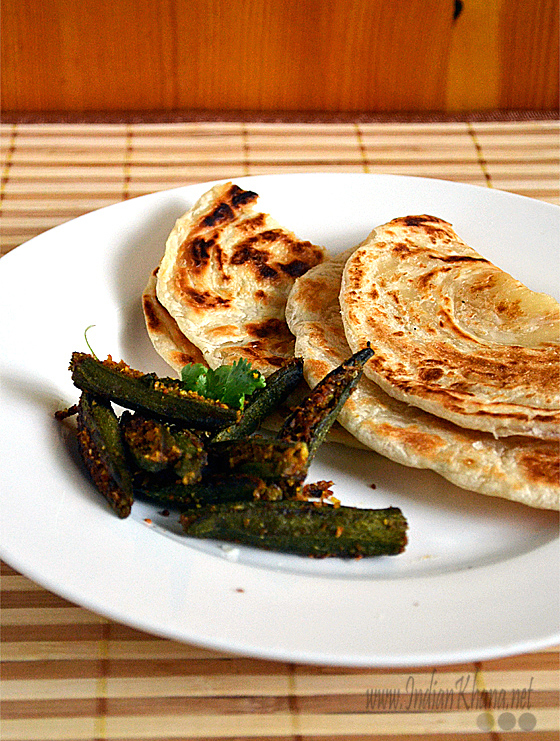 Serve warm with paratha/roti or rice. Who can resist to this beautiful bhindis,inviting definitely. Looks very tempting and tasty !! Looks crispy..just the aayi love stuffed Bhindi..very nicely done..
Bhinda na sambhariya looks perfect and nice.